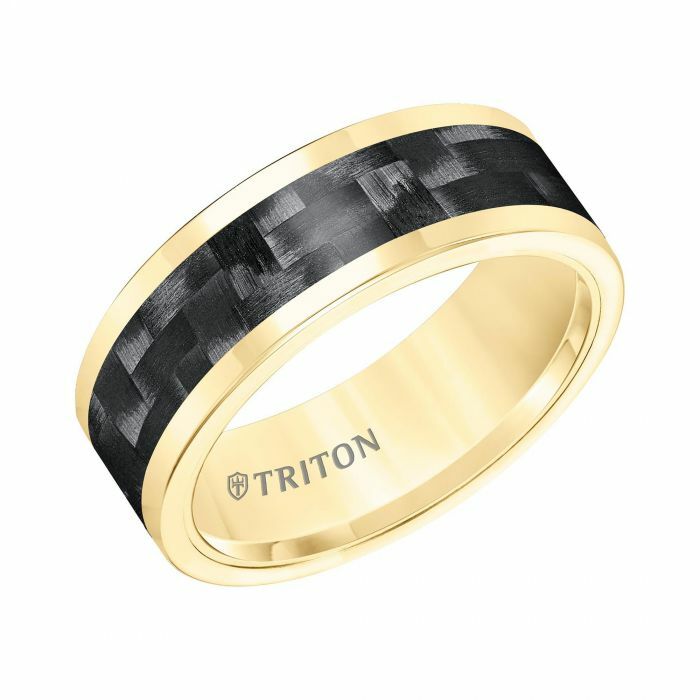 From TRITON, 8mm comfort fit yellow tungsten carbide band with a black carbon fiber inlay and yellow tone rims. All TRITON tungsten carbide bands contain a patented TC.850 formula for a scratch resistant forever polished luster. Available in men's and ladies' sizes.